If you are looking to improve the appearance of your smile or restore the structure of your mouth, Florida DMD custom-made dentures may be your answer. At Comprehensive Dental Care, Dr. Martin and our team of comprehensive dentistry professionals ensure that your dentures provide the most comfortable fit and natural appearance possible. We work with you to find the best option for your needs and make sure that your dentures are made to your complete satisfaction and meet our high standards for exceptional dental care. 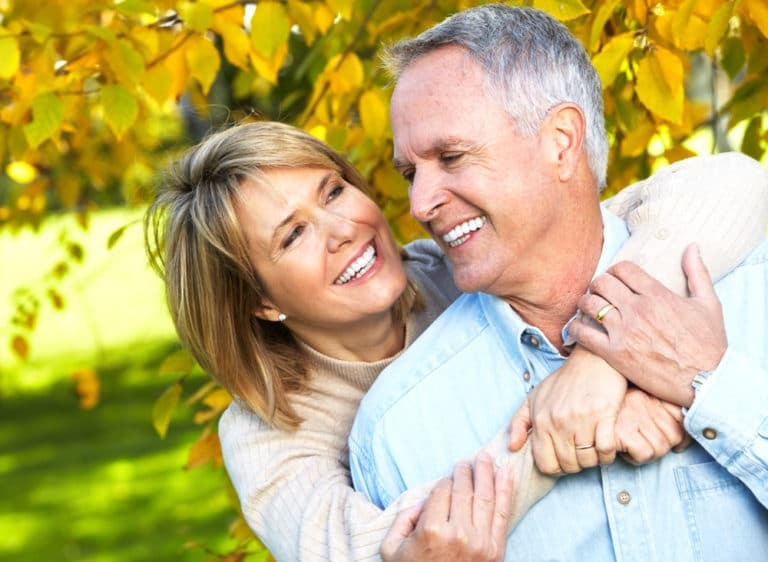 For more information about dentures or to schedule an appointment, contact us today. Dentures are removable fixtures that serve as a replacement to teeth that have been lost as a result of gum disease, tooth decay, or injury, among other causes. They can be crafted to fit the entire mouth — full dentures — or certain sections of the mouth — partial dentures. In addition to replacing natural teeth a denture, or complete denture, provides structural support to the cheeks and lips. When structure to the face is lost, facial muscles begin to sag. This type of restorative dentistry can help rejuvenate the appearance and profile of your face and renew your sense of self confidence. After receiving dentures, our patients report an improved quality of life as well as increased ease when eating and speaking. Contact us today to learn more about the comprehensive dental services we offer. There are a number of options to choose from when it comes to choosing the best type of dentures for your dental needs and lifestyle preferences. Full dentures, or conventional dentures, consist of a full set of custom crafted teeth that replaces all natural teeth in the mouth. Full dentures are removable and are typically created for patients who have had their natural teeth removed, following the full healing cycle of the gums. Partial dentures are the ideal choice for individuals who only lack sections of natural teeth within the top and/or bottom areas of the mouth. Similar to dental bridges, partial dentures fill large gaps created by several missing teeth, but partial dentures are removable. Immediate dentures are placed within the mouth immediately following the teeth removal procedure. However, patients with immediate dentures must have the dentures adjusted several times in the first few months of use. Overdentures are replacement teeth that are retained by dental implants. This type of denture promotes better digestion; reduces the occurrence of bone loss due to jaw bone stimulation; and provides adequate structure to the face. Taking care of your dentures is an essential aspect to maintaining adequate oral health as well as the longevity of your dentures. Daily maintenance to the dentures is required to prevent bacteria growth as well as permanent staining. Because dentures are removable, caring for dentures can be easier than caring for natural teeth. Consider the following five tips to ensure adequate daily denture-care. Brush the dentures daily with a soft-bristle toothbrush to prevent bacteria growth. Rinse the dentures following each meal to dislodge any food particles. Disinfect the dentures using a cleanser specifically made for dentures. Keep the dentures in denture solution when not in use to avoid cracking. Clean your gums and tongue regularly. Schedule an appointment immediately should the dentures crack or break. Poorly fitting dentures can irritate the mouth and result in infection.